Experts in mobile, cloud and clinical sciences, Dictum Health is transforming the way telehealth is delivered by leveraging innovation and quality to provide the Next Evolution in the Continuum of Care. OAKLAND, Calif., November 14, 2017	(Newswire.com) - Dictum Health, Inc. , innovators in acute, post-acute, and remote patient monitoring, announced today VER-GoCLINIC, a portable, rolling telehealth case for traveling clinicians and remote clinic applications. VER-GoCLINIC is a self-contained patient examination and diagnostic clinic that brings complete healthcare services to the field. 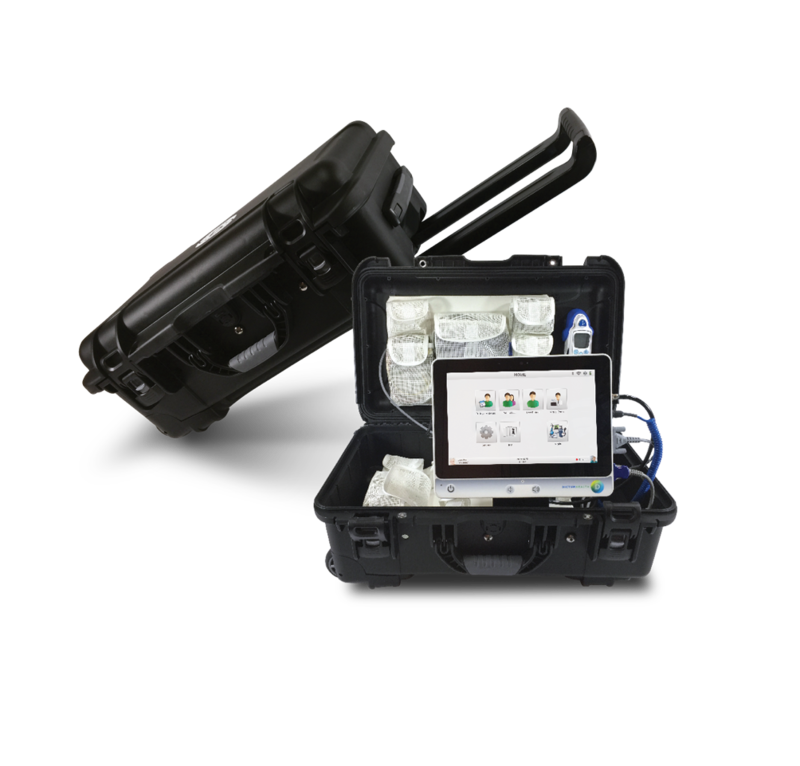 VER-GoCLINIC’s ruggedized rolling case is lightweight and compact enough to fit into an airplane overhead storage compartment. "Dictum Health's complete telehealth system is clinically accurate and portable," said Lisa Constantine, RN, BSN. "I am confident that I am delivering the best possible remote care so that my patients recover safely at home." 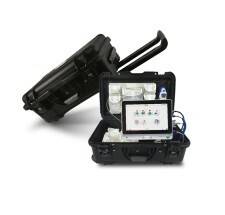 Ideal for community-based, industrial, and commercial remote healthcare, VER-GoCLINIC is used by traveling clinicians for use in adhoc clinics or in any remote healthcare setting such as schools, occupational health facilities, correctional facilities, offshore industrial platforms, airplanes, and cruise and commercial ships. VER-GoCLINIC provides immediate access to clinical care through a Virtual Exam, where clinicians remotely connect to specialists using videoconferencing and simultaneous viewing of vital signs, cardiopulmonary data and medical images for immediate assessment and clinical decisions. "VER-GoCLINIC is designed to deliver connected clinical care beyond the hospital walls, improving access to care and lowering healthcare costs with a configurable mobile clinic," said Elizabeth Keate, VP of Product Management at Dictum Health. Use VER-GoCLINIC with Virtual Exam Room (VER) to remotely examine and diagnose all patient populations, including those most at risk, with the same clinical accuracy of an in-hospital exam. Consult with remote specialists to help avoid unnecessary transportation to the hospital. Experts in mobile, cloud, and clinical sciences, Dictum Health is transforming the way telehealth is delivered by leveraging innovation and quality to provide the Next Evolution in the Continuum of Care. Our solutions give physicians the means to treat, consult, monitor, and manage even their most at-risk patients from virtually anywhere, anytime. For more information visit www.dictumhealth.com. Sign up for email updates from Dictum Health.